Our leggings hug in all the right places and suit all kinds of body types. Our fabric holds shape even after multiple wearings. 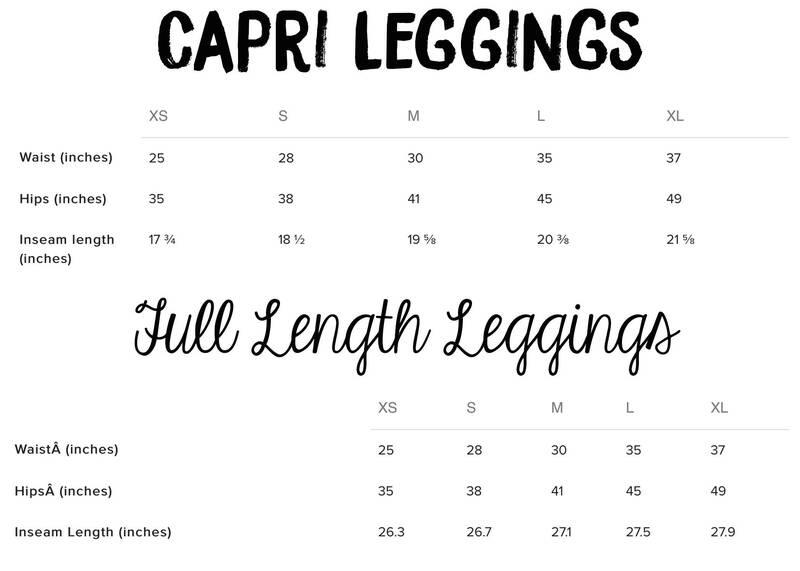 Available as full length leggings or capris. 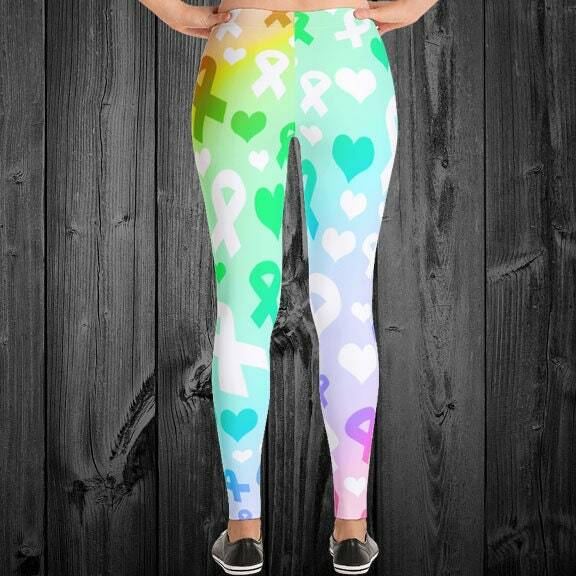 Each pair of leggings is unique, so exact size and placement of designs may vary.